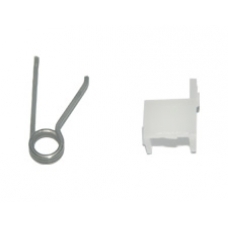 This is the internal spring and clip mechanism for the Sony PSP 2000 Slim and Lite. This part assists in keeping the UMD door attached and allows it to close as it should. * Original Sony PSP Part.